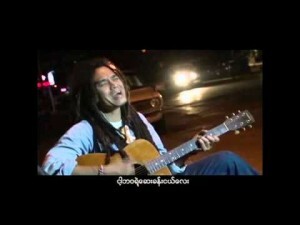 Saw Phoe Kwar is a popular reggae singer from Yangon and a former national football player. A Karen, his grandfather was a missionary who raised Saw Phoe Kwar as a Christian, with regular Sunday school and joining the church choir. His single “Love each other” has been a huge hit among young people and he performs regularly around Myanmar for diverse audiences. Saw Phoe Kwar has two simple messages: “Stop the hate” and “Love one another”, inspiration for which he distilled down from his reading of the Bible. He hopes these will inspire people in Myanmar to coexist peacefully. 1. Why is it important that Saw Phoe Khwar’s songs are a message not only to Myanmar, but to the whole world as well? 2. What influence has Saw Phoe Khwar’s family had on his music? 3. How can communities act upon Saw Phoe Khwar’s two messages of “Love Each Other” and “Stop the Hate”? 4. How do you think being a professional soccer player influenced Saw Phoe Khwar’s view for peace in Myanmar? 5. What do you see and hear Saw Phoe Khwar doing that shows he is not discouraged from spreading his message? In a small group brainstorm messages that communicate peaceful co-existence. As a group, choose one or two messages to write a song or poem that you can teach to the rest of the group.